Ray Adreani founded Norwood Builders by building quality homes in the Chicago area. The hallmark of every Norwood home was then, as it is now, quality of craftsmanship, attention to detail and excellence of value. These benchmarks remain in place today. "We pride ourselves on delivering a very high quality product with exceptional customer service," says Bruce Adreani, president of Norwood Builders, who learned the business first-hand from his father Ray. 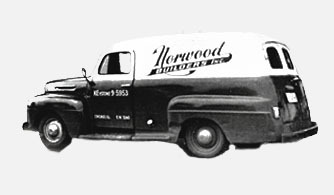 "The Norwood name means you are buying from a dedicated team of professionals who truly know our business. Every member of the Norwood team is able to answer questions and talk to our customers. We are committed to give buyers a family-oriented approach coupled with a very professional level of service." From their single-family home days, Norwood Builders has branched out into town home and condominium developments in prime city neighborhoods and suburban locations. Today, Norwood companies have expanded even further by developing mixed-use communities, many with first-floor retail space and condominiums above. Developments bearing the Norwood name are known for their proximity and accessibility to shopping and public transportation, superior architectural design, the latest advancements in technology, and the highest standards in the industry. These unique traits make Norwood properties prime real estate: great location, quality construction and secure investment. With thousands of homes constructed or under development combined with a prominent retail portfolio, Norwood is one of Chicago's most respected developers.